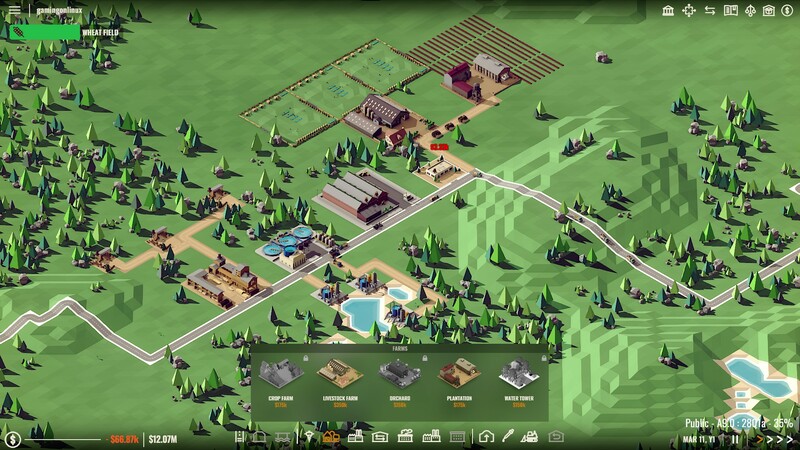 It's been a long time since I took a look at the Early Access strategic tycoon game Rise of Industry, what a better time to do so with a major update? 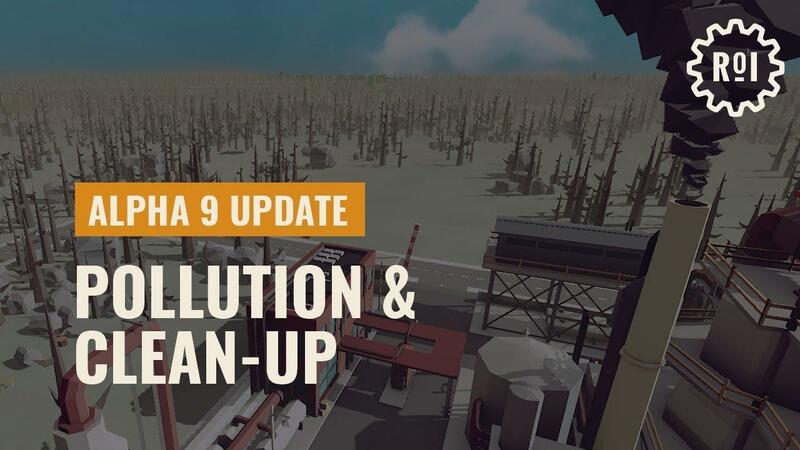 Out now is Alpha 9, which adds in quite a lot. Disclosure: Key provided by GOG. The new update adds in tons, with the biggest new feature being Pollution. Your industry will now start killing the planet—oh no! There's also various other tweaks, bugs fixes, Helper Bubbles to ease you into the game, improved performance and so on. You get the idea, it's a massive upgrade for the game. Not surprisingly, it feels like a completely different game to what I played last year. I've wanted to try it again for a while, however GOG had an outdated build. A quick message to the developer and two days later it's all up to date and looking good. It works well and most importantly it seems to perform really well. Only one small niggle though, it does give a warning about unsupported hardware which you can ignore. The newer refreshed tutorial is a breeze to go through too, it properly explains the initial setup and there was no confusion in what I was expected to do. For such a tycoon game, a clear tutorial is essential and so they've got that nicely down. It's still quite a short tutorial though, but that's fine. With the new help system while you're playing the game, you don't feel like you're left to figure it out again for yourself. I'm only scratching the surface of it so far but I've been loving it. Took me a good hour, but I finally started turning a decent (okay, a small) profit now to start researching more advanced resources. Part of my problem is always expanding too early, building up lots of different producers instead of focusing on getting profit from one major industry first and tweaking that enough to expand. Don't go too fast like me, or you will find yourself constantly in the red. It's the kind of relaxing building experience I've not really felt since Cities: Skylines and I think it's worth a shot, it's coming along very nicely. IMHO, this is one of the better games out there. Unfortunately for me, I wish I could play more but it falls under the "too many games, not enough time" category. While I personally noticed some elements of OpenTTD, the reality is that this is not a transport simulation at all... it can best be described as a logistics simulator. The goal is to take raw resources and manufacture higher and higher tier items until you reach a modern prototype of an advanced item. I have to admit, the graphics in this game are excellent. They are simple, yet at the same time very well polished. No retro 8-bit throwback graphics here. When it went out, i was really not impressed, and even gave a negative review on Steam. It was blend, empty, buggy, and very quickly boring and repetitive. But after several major updates, it's a completely different game, much more balanced and deep, than the very raw and shallow Alpha 4 or 5 i first tried. It's looking pretty good to me. First of all, many thanks for this article! We are Penguins after all, so love from the Linux community is a must! stretch611 IMHO, this is one of the better games out there. Unfortunately for me, I wish I could play more but it falls under the "too many games, not enough time" category. Many thanks for the kind words! In a month or so we'll add Traffic, and after that, a revamped competitor AI. Plenty of challenges for everybody! Tchey When it went out, i was really not impressed, and even gave a negative review on Steam. It was blend, empty, buggy, and very quickly boring and repetitive. Yes, admittedly the launch was a bit of a disaster. Crammed too many new things that felt meh as a whole. After a year of taking in player feedback and going back through the original design, managed to make something truly worth your time, money and support. I love the art style, I just wish it had co-op multiplayer. It's the kind of game I'd love to replace OpenTTD with while chilling with a buddy. RiseOfIndustry First of all, many thanks for this article! We are Penguins after all, so love from the Linux community is a must! So with the developer name of "Dapper Penguin Studios"; are you actually developing the game using linux?